By this time, you have likely grown weary of any reminders of the past and find that you are simply over it. Sitting around waiting for change does not really bring change, it simply serves to make you a little irritable with the status quo. Do not allow yourself to grow complacent and go through life in couch-potato mode. Get up and go do; look over your options carefully, even if you do not currently see what you were hoping for presenting itself to you. You could be missing out on a perfectly good opportunity, so perhaps you need to give it a chance. If you find you are just not certain because you are dissatisfied with life, take a time out, whether to spend it alone thinking, or even meditating. It will do you good. A positive review of your current situations will help you in determining which ones no longer serve you, and then you can take it from there. Life was not meant to be lived one way in its entirety. Open your eyes to the possibiities and embrace them. This entry was posted in Card of the Day, General Tarot, Readings, YouTube Videos and tagged 4 of Cups, Card of the Day, Guidance, Path, Reading, Tarot. 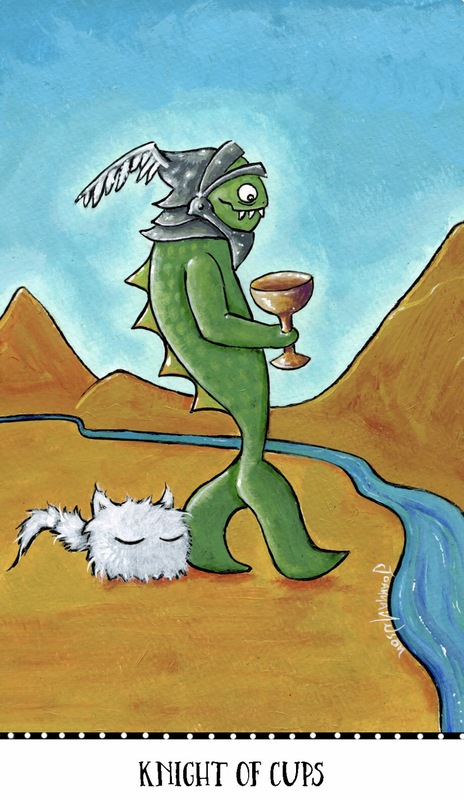 The monster Knight sets out on an adventurous journey with his little white puff companion by his side. He has a message to be delivered that will provide the wisdom and energy to lift and inspire. The Knight himself is a fish type monster, representing a creative spirit. Listen to your heart! The Knight is a romantic, chivalrous hero, intelligent and sensitive, inviting you to give your emotions the reins. Fall in love whenever you can, keep an open heart and let yourself be swept off your feet, as long as you act on your feelings, rather than getting lost in dreams. When you give into your passions, something beautiful can come from it…just remember that it is easy to be overcome by them. This entry was posted in Artist, Deck Review, Featured Card of the Day, General Tarot, Readings and tagged Joanna Nelson Studio, Knight of Cups, Monstarot, Tarot. This is a good time to tackle something where you have been stuck, i.e., a bad habit, which could be detrimental to your overall health. It is often possible to just stay stuck and lay the blame elsewhere, when in actuality, you do have the power and the free will to break loose at any time. A particularly aggravating situation may have you seething, but you do not have to be bound to it. This is a card of appearances, and you only appear to be stuck. This is a situation from which you can free yourself, perhaps not today, but it definitely feels as though that freedom is coming, and your mind is made up to do something about it. Looking for more Tarot Guidance? Follow me on Patreon. 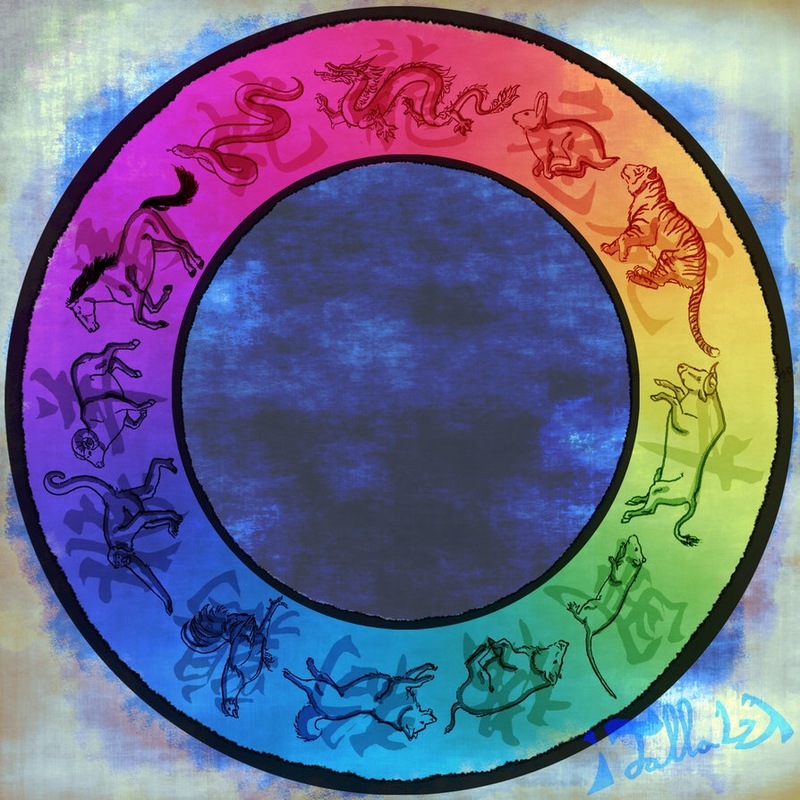 Become a Patron by pledging $2 per month or more, for exclusive access to monthly readings by zodiac sign, as well as New Moon, Full Moon and retrogrades. This entry was posted in Card of the Day, General Tarot, Readings, YouTube Videos and tagged Card of the Day, Devil, Guidance, Path, Reading, Tarot. The 7 of Swords resonates very strongly at this time. I believe I mentioned some of this on the New Moon video on Patreon. There is something in your life on which you are working which does not need to be a public broadcast. You will achieve greater success, if you keep everything under wraps, until the time is right. Stealth mode! I am not suggesting being sneaky or secretive today, and this is an ongoing theme over the next couple of months. What I am saying is to take the back door approach; everyone does not need to see you coming. There is an importance to keeping your goals and ambitions to yourself as you go about carrying out your plans. 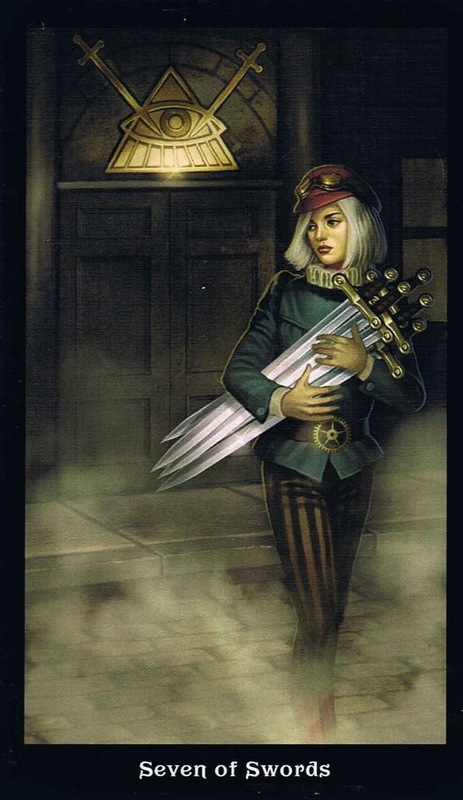 This entry was posted in Card of the Day, General Tarot, Readings, YouTube Videos and tagged 7 of Swords, Card of the Day, Guidance, Path, Reading, Tarot. The month of June is all about reaching the Solstice on the 21st. Talk about your green lights! It is time for things to start moving. Finally, you feel as though the right people are at the table with you, bringing the necessary elements to the discussion. Hyperorganization is the name of the game, and you may have been trying really hard before to achieve this, but the Solstice is when that mode really kicks in for you. This is not a time for out-of-the-box behavior, rather conforming to the expectations of society will put you on the right side of the equation. Many lessons have been learned from the past, and the time has come to release any fears and let them go. When you really take a good look at the cycles of time, you will see that the three-month intervals during which we have individual seasons, are truly unique, and definitely worth noting. Take others under your wing, and guide and nurture them. There will be much to celebrate by the Equinox in September, and also again at Christmastime. Be a leader for positive change and you will free yourself from the burdens you have carried for so long. The Universe has your back and will instill you with great faith for the things which you wish to accomplish. While organizing and restructuring your life, you don’t need to be front and center with the details every day. It is not so much a lack of truth on your part, as it is not everyone’s business what you are undertaking to achieve this new level of organization. Remaining down to earth, as opposed to arrogance, regarding power, allows your power for manifestation to grow. Your best defense is keeping things under wraps for a bit. The door will finally open on an important commitment; reciprocation is the necessary ingredient to success. You are in a new phase of life which is teaching you to stand on your own two feet in ways not previously possible. It would appear that you have learned to cherish alone time more than ever and that while others may think you are putting up walls, you are simply working out all of your options. Challenges always have a way of being overwhelming, but when you sleep on it, you can find the answers. You are beginning to learn to manifest in new ways, and are beginning to view yourself as a more sound and reliable individual. This entry was posted in Astro-Tarot, General Tarot, Love and Finance, Readings and tagged Aquarius, Aries, Astro, Cancer, Capricorn, Gemini, Guidance, Leo, Libra, Path, Pisces, Reading, Sagittarius, Scorpio, Tarot, Taurus, Virgo. A happy couple does a celebratory dance under a wreath of flowers. More flowers bloom from the top of their happy heads, as friends share in their joy and bubbles float peacefully all around them. It’s time to celebrate! You’ve made good progress so far. Your current project is going well, and growing at a fair rate now. Even better news is that you’ve managed to keep balance between work and home while doing it. There’s still a long way to go, but for now, the pressure is off you. Embrace the joy of this success, let your family and friends know you appreciate the support they’ve given you. Go out, enjoy life, treat yourself, and others. This entry was posted in Artist, Deck Review, Featured Card of the Day, General Tarot, Readings and tagged 4 of Wands, Joanna Nelson Studio, Monstarot, Tarot. 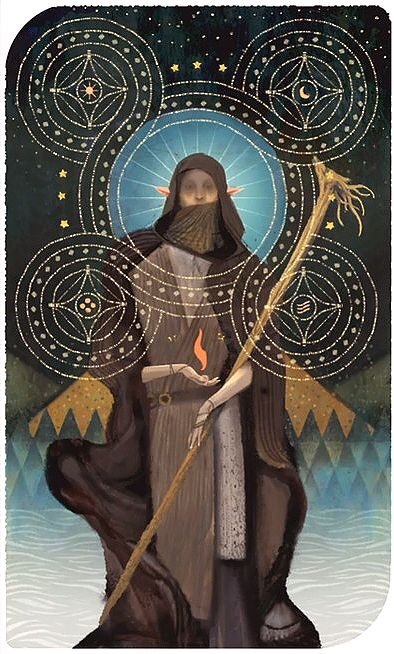 While, for some reason, the Hermit has never been one of my favorite cards, it is a very powerful one. And, the power itself very often lies within you. The Hermit can be an indicator for the need of a little alone time, allowing yourself to sort things out and reassess your goals. This is also a card of guidance, and you may find yourself on either end, giving and/or receiving. There are periods in life where you may feel as though you are traveling in the proverbial tunnel and you are looking for that light which will guide you to the exit. That light-at-the-end-of-the-tunnel shows up as the Hermit, bringing you the necessary guidance to move along your path. This entry was posted in Card of the Day, General Tarot, Readings, YouTube Videos and tagged Card of the Day, Guidance, Hermit, Path, Reading, Tarot.